Turaga na Tui Nacula Ratu Manasa Naikasowalu Bog­ileka has thanked Govern­ment for a well-thought -out initi­ative to uplift and upskill women of their district. 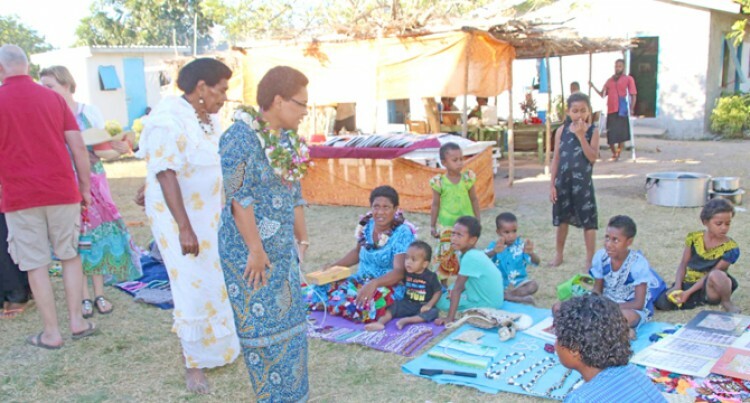 “These programmes for our women go a long way because they not only presented the women of our district an opportunity to showcase their talents, but it also helps improve their individual family’s standard of living,” Ratu Manasa said. He said it was an initiative that was well received by the women in the district and in a sense it also encouraged them to explore their talents and earn a living from something they loved doing. “Given the remoteness of our is­lands and villages being far from the Viti Levu mainland, the Gov­ernment’s presence here through the Minister for Women, Children and Poverty Alleviation Meresei­ni Vuniwaqa and other govern­ment personnel indicates how much Government is investing by reaching out to all Fijians,” Ratu Manasa said. In addition, he thanked Govern­ment for sending its REACH team to their district to provide Govern­ment services to villagers. “This was really helpful to us. Bringing Government services here right to our shores, made it convenient for us,” Ratu Manasa said. During an interview, Ms Vuni­waqa said they had teams on the ground that would conduct sur­veys and interviews with women of the district. Also engaging in discussions with them so that they could have an idea how Nacula district wom­en could be helped. The minister is on a five-day tour of the Yasawa Group and will re­turn by Friday.